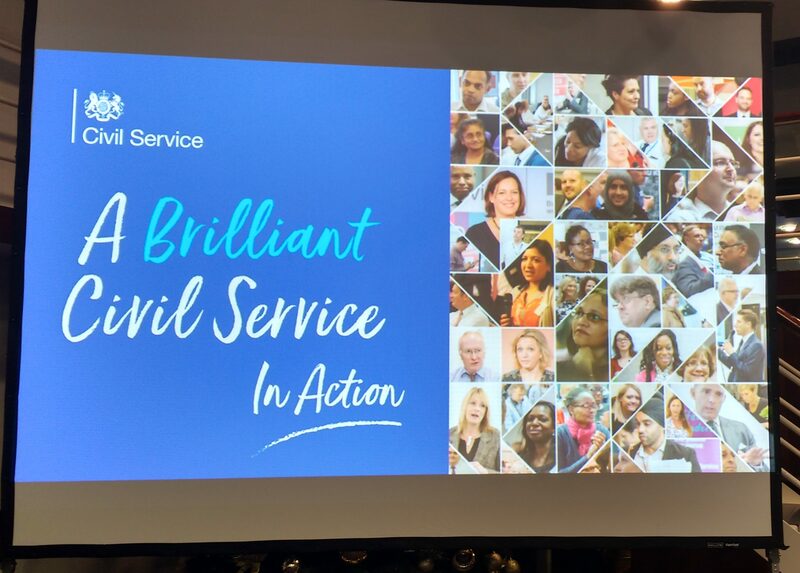 Titled ‘A Brilliant Civil Service – in Action’, the series of events is touring the country, bringing together colleagues from numerous departments and agencies to find practical ways to improve public services. The Liverpool event featured senior leaders and front-line staff sharing their experiences of transforming public services, and round-table discussions about common problems and potential solutions. Passion – and compassion – were evident in the speech given by Cathy Ingram, who works for HM Revenue and Customs in Liverpool. She recovers Tax Credits overpayments from vulnerable customers, and she spoke movingly of helping people who have suffered a recent bereavement or are seriously - and sometimes terminally - ill. Colleagues in the room were visibly moved by Cathy’s words and her commitment to improving the services we provide to citizens. The table discussions were just that opportunity, and the room was abuzz with the sound of colleagues sharing common problems and coming up with creative ideas to solve them. Each table had a topic that attendees had said was most important to them when they registered for the event. In one group, discussing the merits of collaboration across boundaries and the obstacles to doing it effectively, there were common themes. They included a lack of consistency in being able to share data securely between departments, and a feeling that collaboration is sometimes seen as an add-on to someone’s job role, instead of an integral part of it. Everyone around the table gave an example of how processes had been streamlined and services improved by innovative staff ideas, as well as by co-operating with colleagues in other work areas and departments. 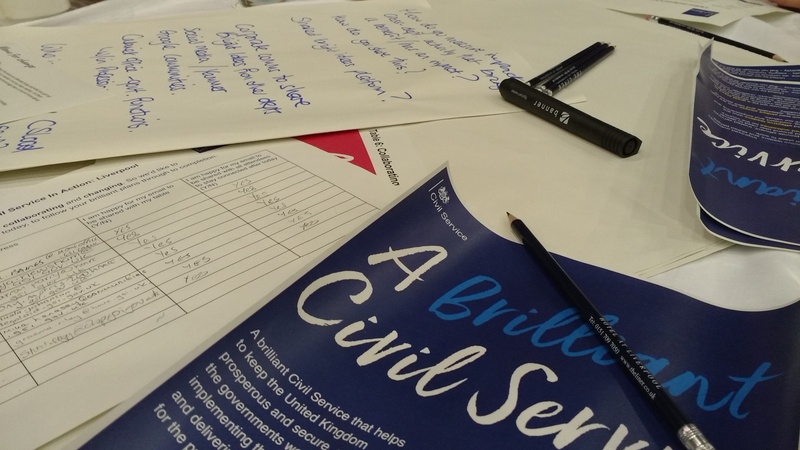 Some of the groups will present their solutions for improvement at Civil Service Live events this summer. Jonathan Slater, the Permanent Secretary at the Department for Education (DfE), highlighted collaboration as a key driver in transforming public services. He cited the example of how a school for children affected by the Grenfell Tower fire was built in just nine weeks, thanks to the close working between DfE and the Ministry of Defence, which gave up land for the school to be built. HMRC’s Graeme Riley was keen to see the “practical application” of the event, and he wasn’t disappointed – he introduced a colleague he met there to a senior leader in HMRC working in a similar field. He also took away staff engagement ideas to help him with a project he is working on. 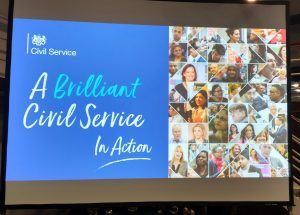 The event clearly demonstrated that connecting civil servants, and harnessing their positivity and enthusiasm for collaboration, is the formula for turning the Civil Service Vision into action. I attended the Bristol event and was really impressed and inspired by the speakers there especially Sally Davis who received the loudest round of applause and quite deservedly! I think a lot of us now have ongoing projects with those we met from other government departments so quite exciting. Glad to hear that the event in Bristol was just as inspiring. It's good to think how many work projects are coming out of it. Can't wait for all the outputs to start coming to fruition. Hello. Apologies if I've missed it but is there a timetable of the other events being held nationally? Most of the national events have occurred but the last two events are 18 April in Glasgow and 1 May Sheffield. The invites for these events are generally targeted at the staff working in the regions where the events are. I'm not sure where you are based or if these are local to you but if you need anything else let me know. I'd like to attend the Sheffield event but can't find registration details. Please can you advise? Apologies for late reply whilst I was on leave. Hopefully you have now seen the blog put on about the event, posted on the 3rd April by Michelle Crawford.